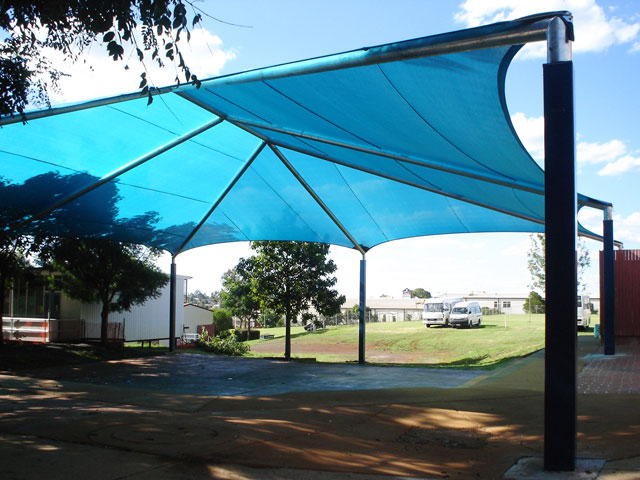 As something that is exposed to the environment, your shade sail should have the best kind of weatherproofing. Using stainless steel fittings make sense because they protect the parts of your shade sail that keep it together. Also, stainless steel nuts and bolts have an interesting property. When they are forced into each other, the chromium layer wears away, causing the metal underneath to fuse together. Simply put, the nuts and bolts fit together tighter, giving your structure greater strength and stability. Since they maintains the structural integrity of your shade sail, stainless fittings also make your shade sail safer, allowing you to sleep soundly at night knowing your shade sail will not get blown away by a cyclone. Overall, stainless fittings are better because they protect your shade sail from the elements, making it more safe, durable, and rust-free. Change your fittings to Urban Shade stainless fittings today and keep your sails strong and intact. Steel has many varied applications. Unless you live on a deserted island, you are bound to come across something made of steel. But what is steel exactly? How is stainless steel different from the normal kind of steel? To be more specific, why should shade sails have stainless steel fittings? This article will answer these questions and even give you the information you need when purchasing fittings for your shade sail. Steel is an alloy (a metal composed of two different elements that have been melted together) made up of iron and carbon. Generally, steel is the preferred building material for structures such as skyscrapers and cars (and even smaller ones like shade sails) because it is less ductile than iron, thus preventing distortion. As the carbon grade rises in steel, this resistance to being distorted and reshaped rises as well. Stainless steel has the typical mix of iron and carbon, but additionally, it has a rust-resistant surface of chromium. This material makes up 10 1/2 percent of the steel by weight and this gives the stainless steel its familiar sheen. When the chromium surface makes contact with air, it forms a coating called chromium oxide which is water and air-tight, thus protecting the metal underneath. Additionally, this surface is scratch resistant. If something abrasive rubs against the surface of the steel, the chromium layer quickly reforms over it. Commercially, stainless steel is an appealing choice for a building and construction material. It is relatively inexpensive, corrosion-resistant, and adds an elegant touch because of its natural luster. Also, it is environment-friendly because stainless steel is 100 percent recyclable. In fact, most of the stainless steel that are used for construction today consist of steel that has been re-melted and reformed.